Tau tangles are one of the main focuses of Alzheimer’s research as neurologists continue the search for new treatments and a cure. The memory-robbing disease, however, may not be the only source of these tangles, according to new research published in Neurology. People with Type 2 diabetes are understood to have double the risk of developing dementia, but little is known about how the two diseases are connected. In this study, researchers set out to better understand the relationship between Type 2 diabetes, loss of brain cells and their connections, levels of beta amyloid, and tau tangles in cerebrospinal fluid. In total, 816 participants (124 with diabetes), with an average age of 74 years, were included in the study. Of those, 397 had mild cognitive impairment, 191 had Alzheimer’s disease, and 228 had no cognitive problems. On average, those with diabetes had 16 picograms per millileter (pg/mL) greater levels of total tau in cerebrospinal fluid regardless of dementia diagnosis, indicating that there may be a greater buildup of tau tangles in the brain as well [total tau (pg/mL) (β = 16.06, p = 0.04) and phosphorylated tau (β = 5.84, p = 0.02)]. Researchers also found that diabetes was associated with lower bilateral frontal and parietal cortical thickness (mL) (β = −0.03, p = 0.01), regardless of whether participants had no cognitive problems, mild cognitive impairment, or Alzheimer’s disease dementia. 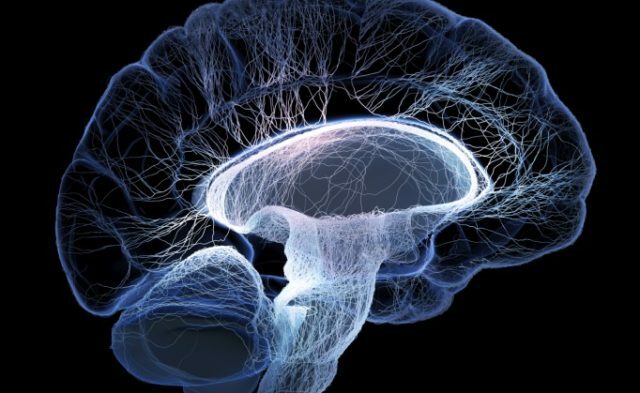 The buildup of tau, in this case, may also contribute to the thinning of the cortex, researchers noted. “Due to the fact that nerve cells in the brain do not replace themselves, it is extremely important to find ways to reduce the death of current brain cells. Studies such as ours seek to understand how diseases like diabetes may directly or indirectly affect brain cell death,” said study author Velandai Srikanth, MD, PhD, from Monash University in Melbourne, Australia. While the data indicates that Type 2 diabetes may promote neurodegeneration driven by tau phosphorylation, Velandai and colleagues stressed that the results do not determine a cause-effect relationship between diabetes and tau buildup in the brain, and that more research needs to be conducted in order to better understand the mechanism behind the relationship. Moran C et al. Neurology. 2015; doi:10.1212/WNL.0000000000001982.